For once I didn’t have to try and stuff everything into a gallon size baggie. Unfortunately though, I am only allowed to sent Coppelia one package. Because she is with a different agency in Korea than both Edric and Paxton were they have different rules. So I stuffed a box as full as I could since it will be the only one I get to send. I am hoping that it arrives before her first birthday next week. In the midst of packing up her first and only package I forgot to take a photo of the bear that we made her. 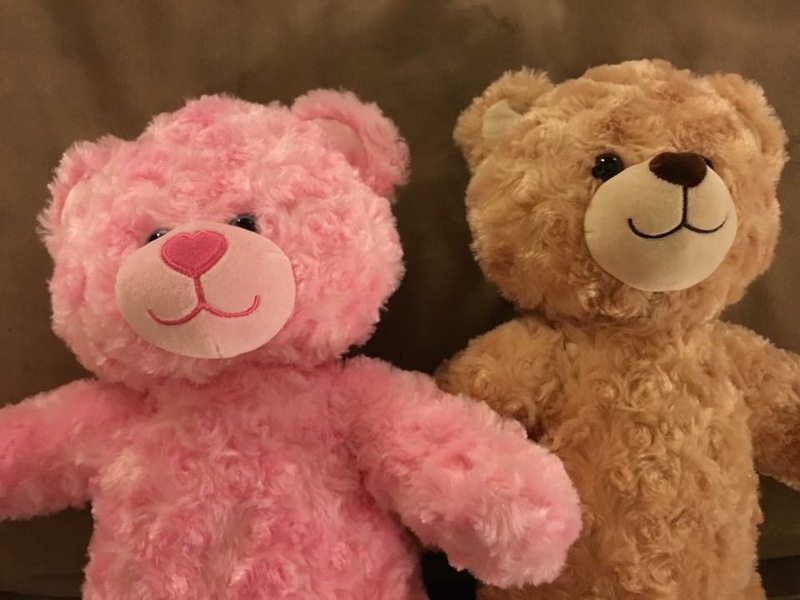 We made both Coppelia and Paxton bears with recordings of all our voices in them and I took a photo of both bears when we had them made. We mailed Paxton’s to him for his birthday and then were told when we got a video of him that he loves his bear. I hope Coppelia really likes her bear as well. 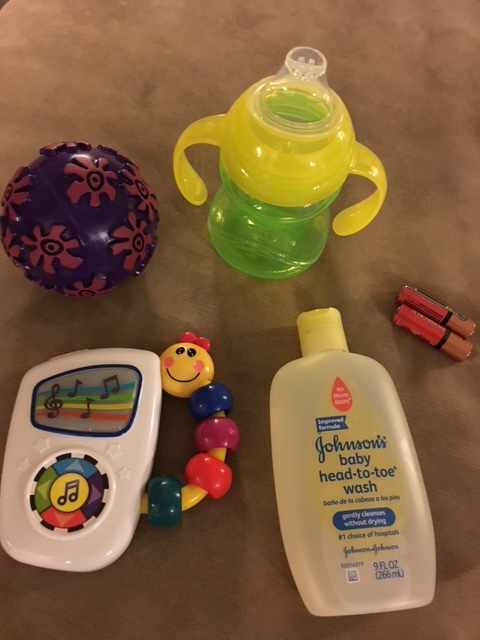 I sent a number of different toys as well, some may look familiar to what I’ve sent Paxton. 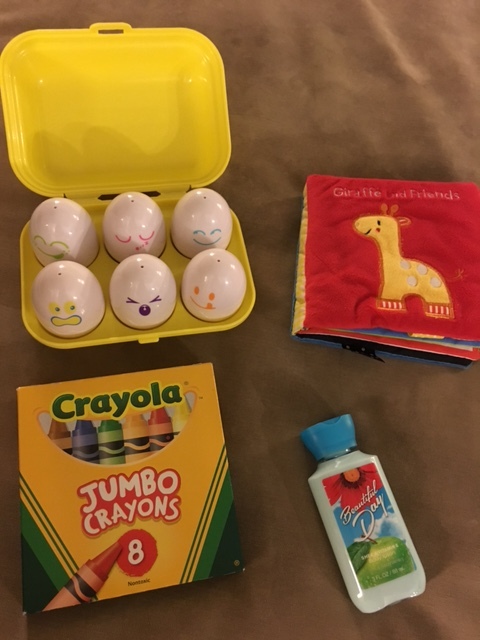 I got smart and ordered or picked up two of things when I would find them. I need to get use to this “nearly twin” thing and doubling everything. Well, actually may be I need to get used to making everything ×5! Sometimes I just shake my had an wonder what we are going to do. I also included a thumb drive, so that hopefully the foster family can take photos of her and put them on the thumb drive so that we can get those photos later. I also made some hairbows. We have gotten a few photos of her, and she is usually dressed to the nines with all sorts of hair bows in her hair. 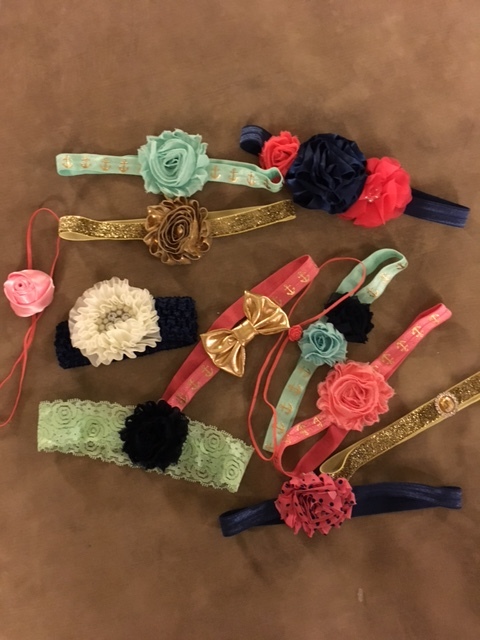 I found a great spot online, Bowtique Emilee, which has hair bow kits. I made my first few and sent them in this package. 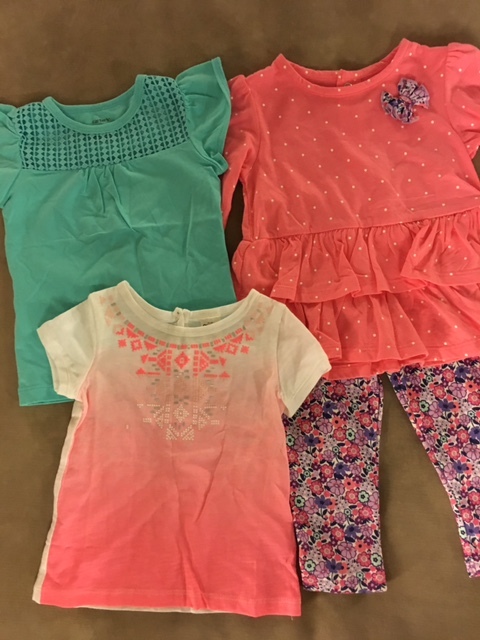 And then the clothes. Since I wasn’t exactly sure what her size is, I also don’t know exactly when she’ll be coming home, I decided to put number of different outfits of different sizes, as well as planning for the weather. 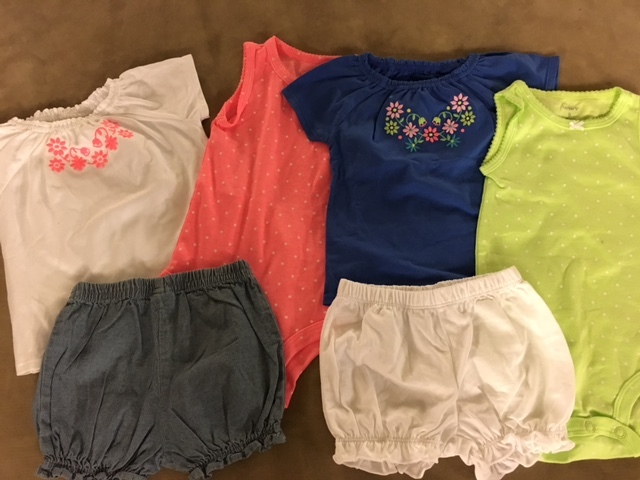 I started with some nine-month short outfits that I found on sale. I hope that she can at least get a couple uses out of these. 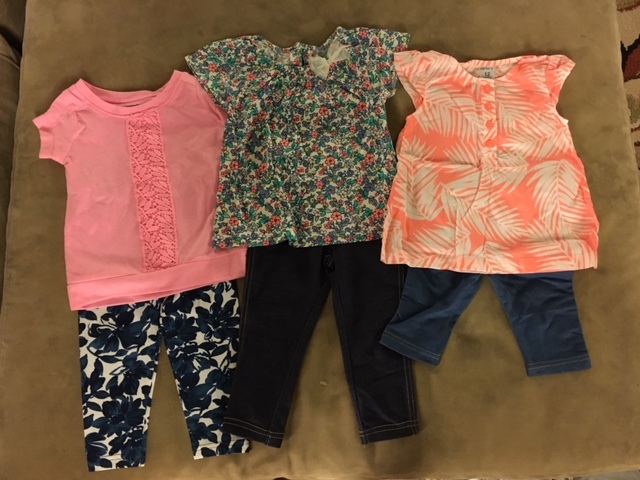 I also found some twelve-month clothes that are little more appropriate for autumn time. 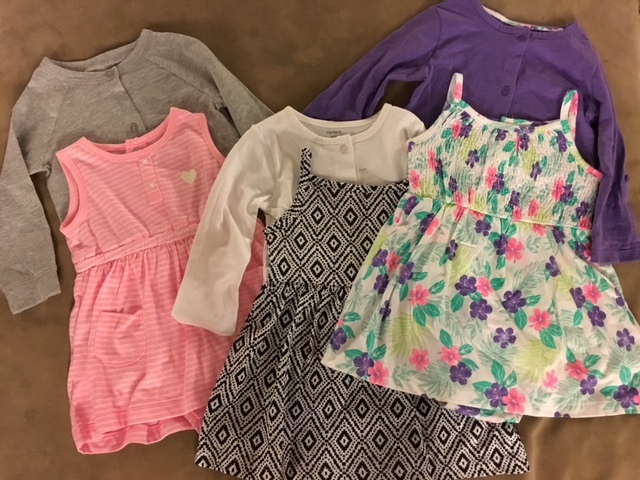 I have never shopped for a little girl before, so I’m figuring all of this out. 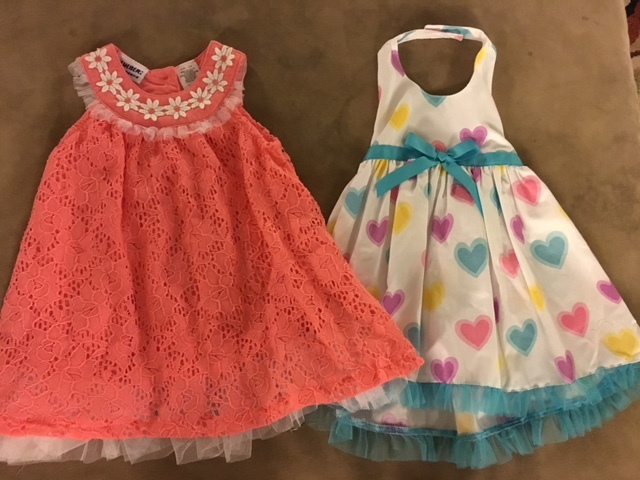 Finally it was time for some dresses. She said Clint to buy some dresses, because I realize we needed to get the package out and I had not gotten any dresses yet. This was a first for him. He was a little nervous and didn’t know what to get, but I think he did a very good job. I also included a stack of photos of all of us. The box was very packed, but I hope that she feels and knows our love from across the ocean! Next Post Leighton is 7!